London Built Environment is the only independent business network exclusively for professionals working within London's property industries. 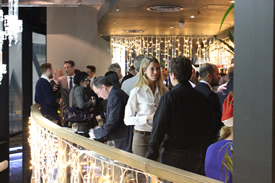 We run regular evening networking events in Central London dealing with residential, commercial and the public sector. "We have been to a number of London Build Environment events and they are always well attended with the some of best of the London property scene." Come along and join us to talk property, make new contacts and seek out fresh business leads in a very relaxed atmosphere.